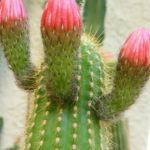 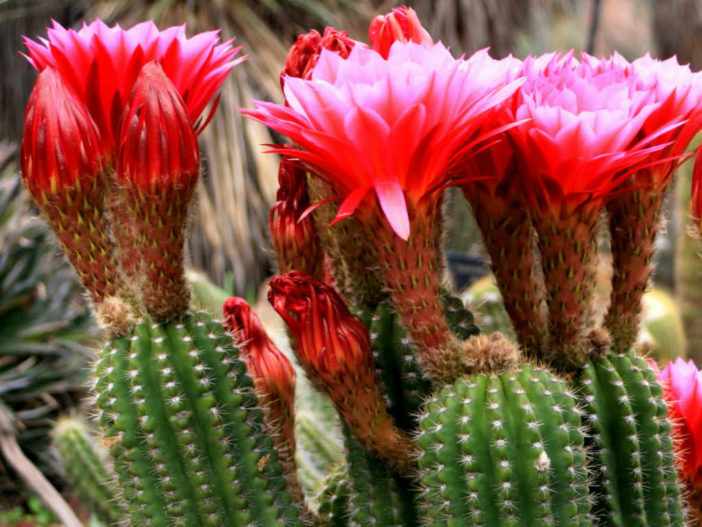 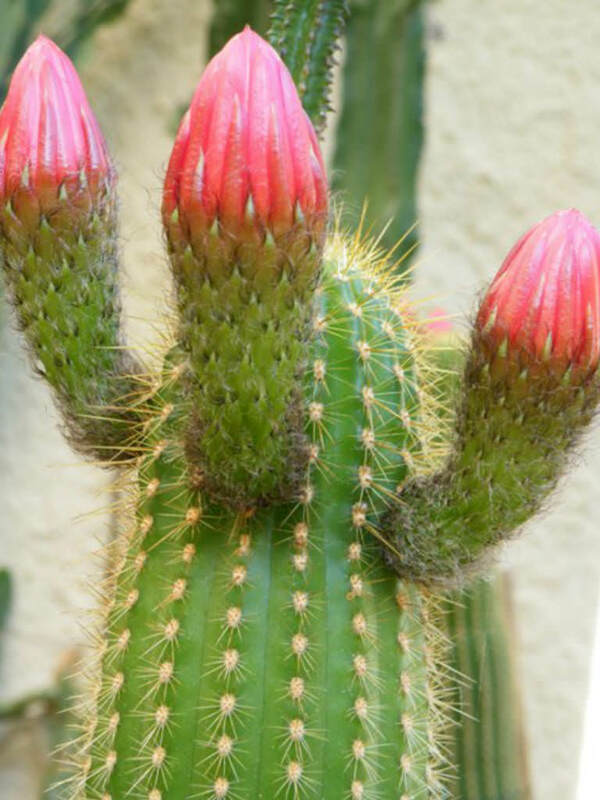 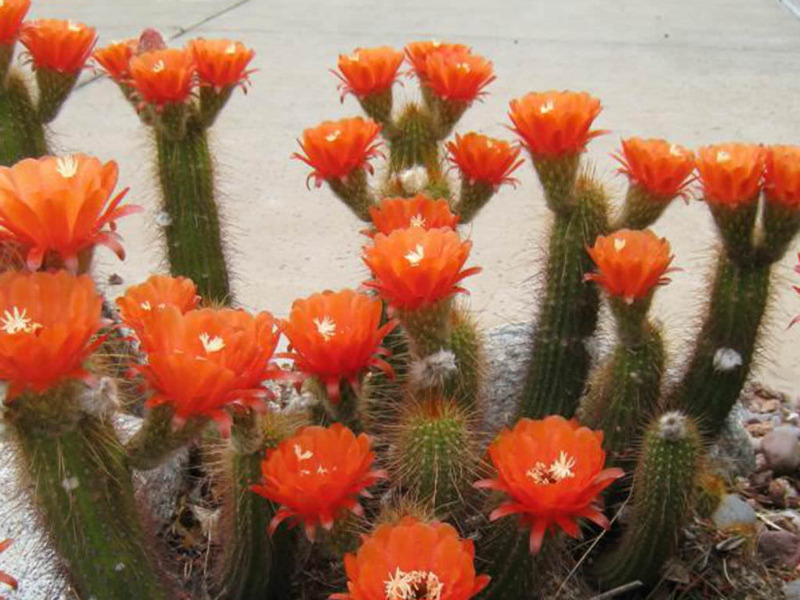 Echinopsis huascha is a medium sized, basally branching, clumping, columnar cactus up to 3 feet (90 cm) tall. 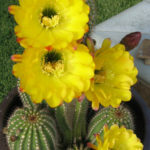 The stem is cylindrical, stout, light green, up to 3.2 inches (8 cm) in diameter, with 12 to 18 ribs, and needle-like, unequal, yellowish to brownish spines. 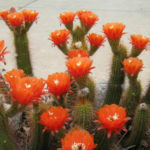 The flowers are diurnal, scentless, funnel-form to bell shaped, red, yellow or orange, up to 4 inches (10 cm) long, up to 3 inches (7.5 cm) in diameter and produced near the end of the stems. 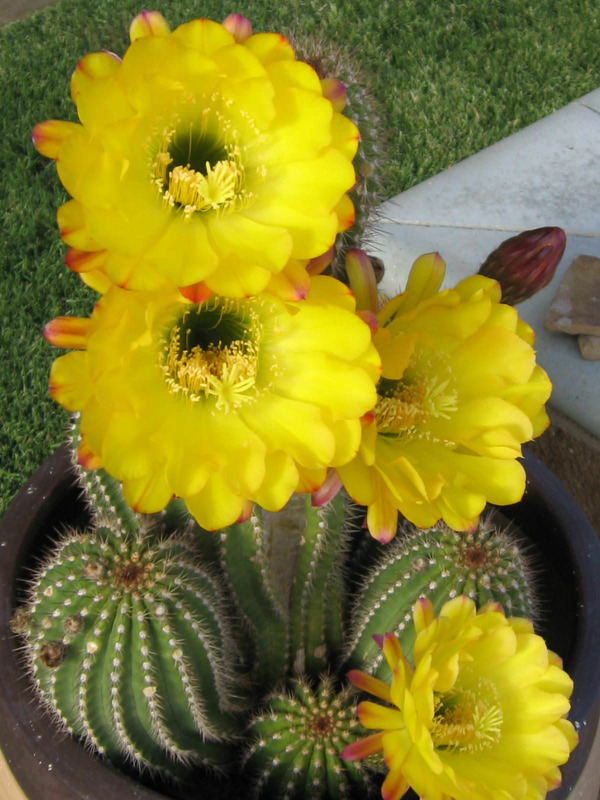 Echinopsis huascha is native to Argentina.